Dent Masters is a Paintless Dent Repair PDR service. We remove small dents and door dings from your car without damaging the paint. Mobile service right to your location to remove those unsightly door dings and small dents the alternative to bodyshops. Whether your vehicle has been damaged over time or you've been recently dinged while parked, Dent Masters Mobile Service, can help you get your car looking great again. Our technicians are punctual and professional, and we have more than 23 years of experience. Best of all, we complete all dent repairs without damaging your vehicle's paint job. We understand that you may not have the time or ability to bring your car into a shop, but don't worry; with our mobile dent repair service, we'll come to you. Your repair can be completed in less than an hour, and we're fully insured. We're dedicated to your satisfaction, so we're proud to offer high-quality work at prices that won't break the bank.  When you want a quick response from a mobile painless dent removal company, there's only one name you need to remember: Dent Masters. We're available six days a week to meet your dent removal and repair needs, so contact us today to schedule your appointment. We are open for business serving Orange and LA Counties since 1991. Call us today for a FREE estimate. Our technicians will come to your home or office.